Sometimes it nice to sit and enjoy a nice cool beer. 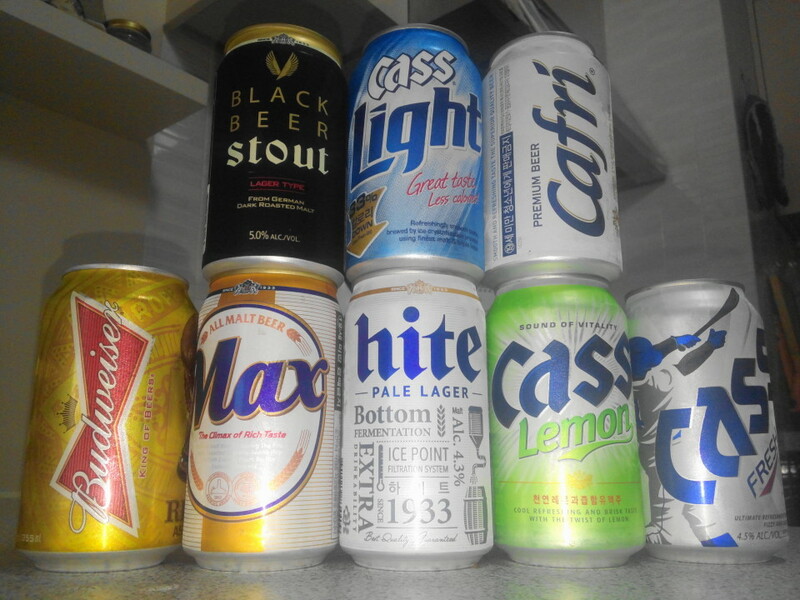 There are a number different Korean beers or 맥주 (maekju) available, from a common Budweiser style lager to a Guinness style stout and even a Korean version of Corona. 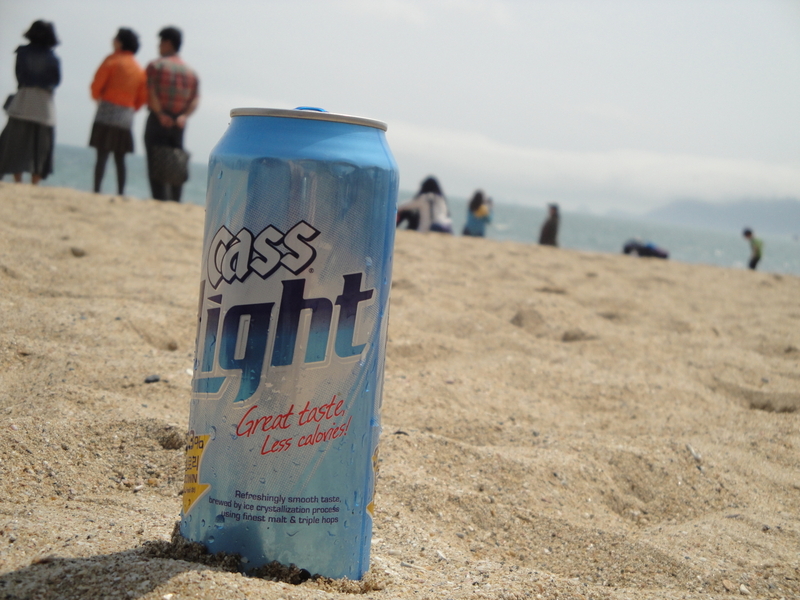 There is more than likely a Korean Beer that will suit your tastes. 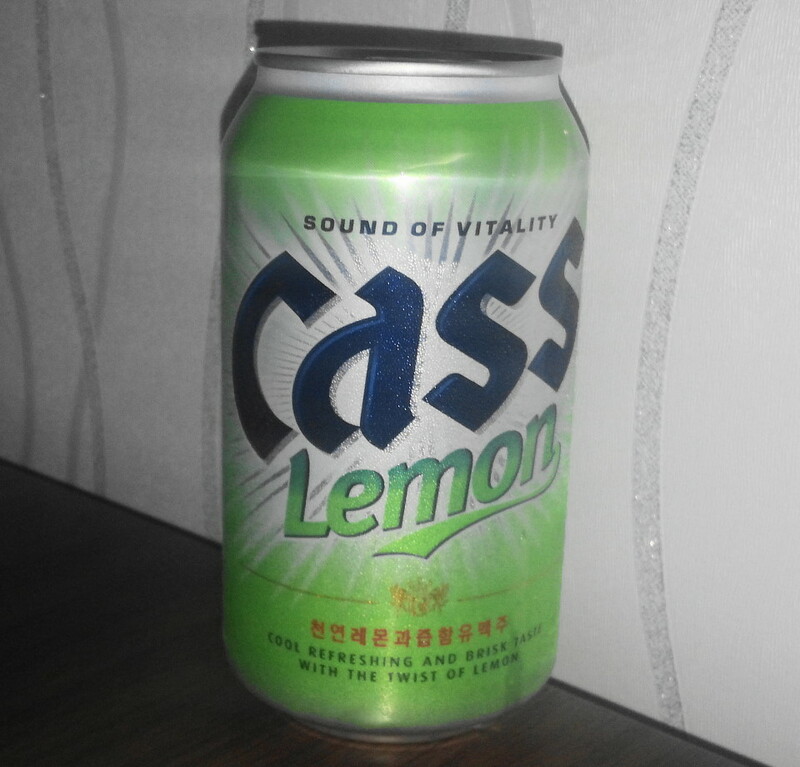 Admittedly Korean beer isn’t maybe the highest standard but it’s cheap and refreshing. Of course if you’re willing to spend a little bit more you can easily find imports. 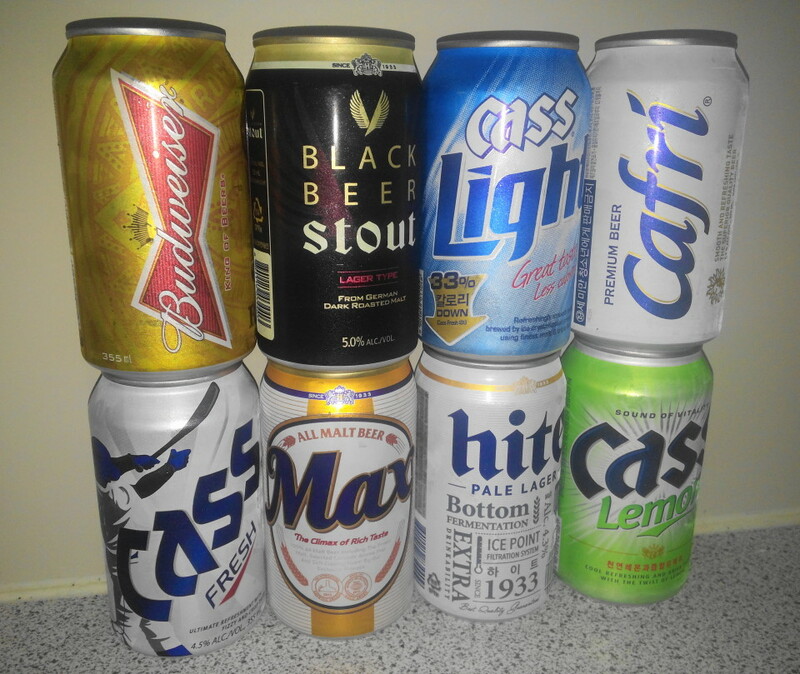 This is the most commonly found Korean lager, and comes in a number of different styles: Original, Light (low calorie and pictured above), Red (high alcoholic content at 6.9%), Lemon (with a hint of lemon) and 2X (similar to Corona). 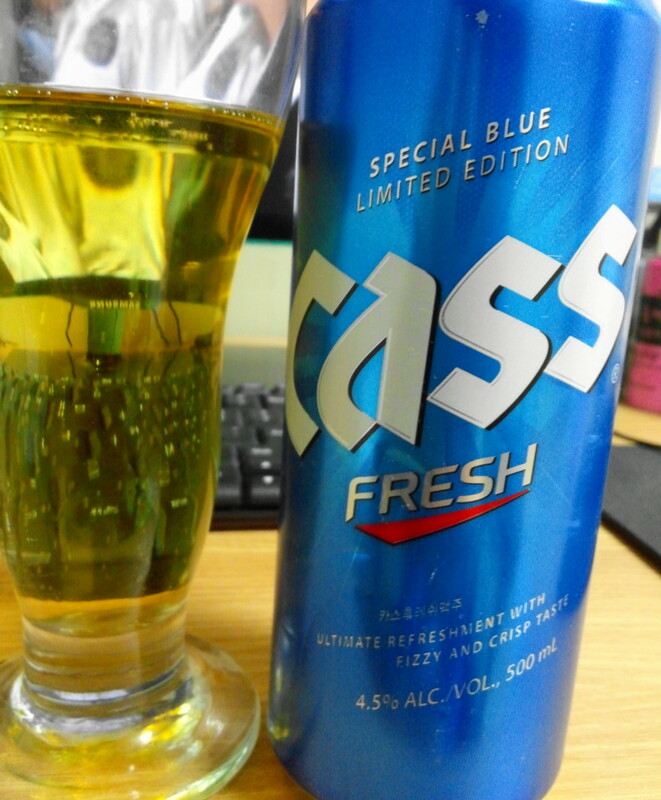 Cass is most comparable to a cheap version of US Budweiser. 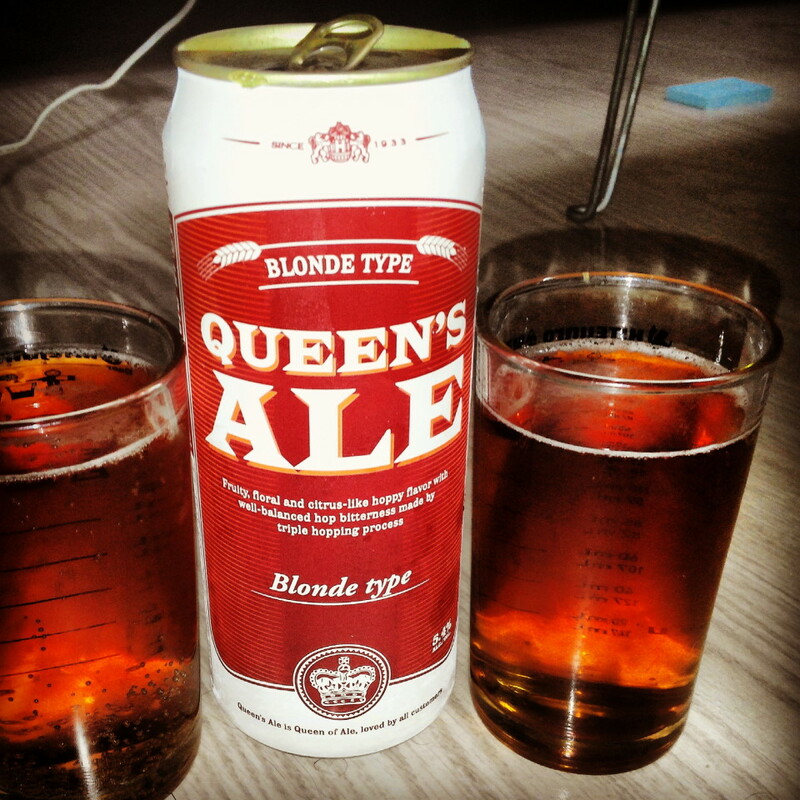 Very similar to Cass both in taste and cost, is also brewed with barley malt and rice. 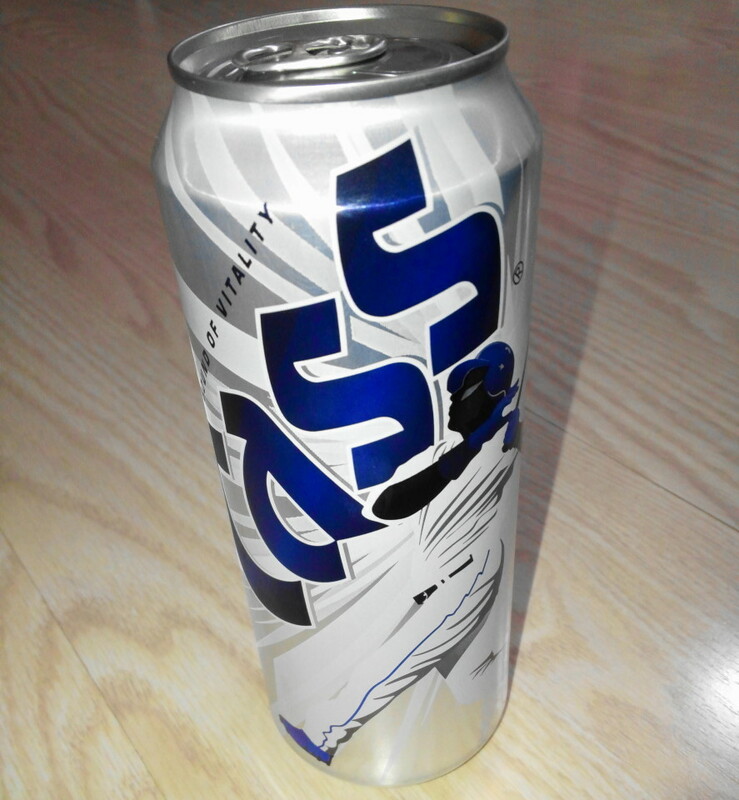 It has recently become the top selling lager in South Korea. 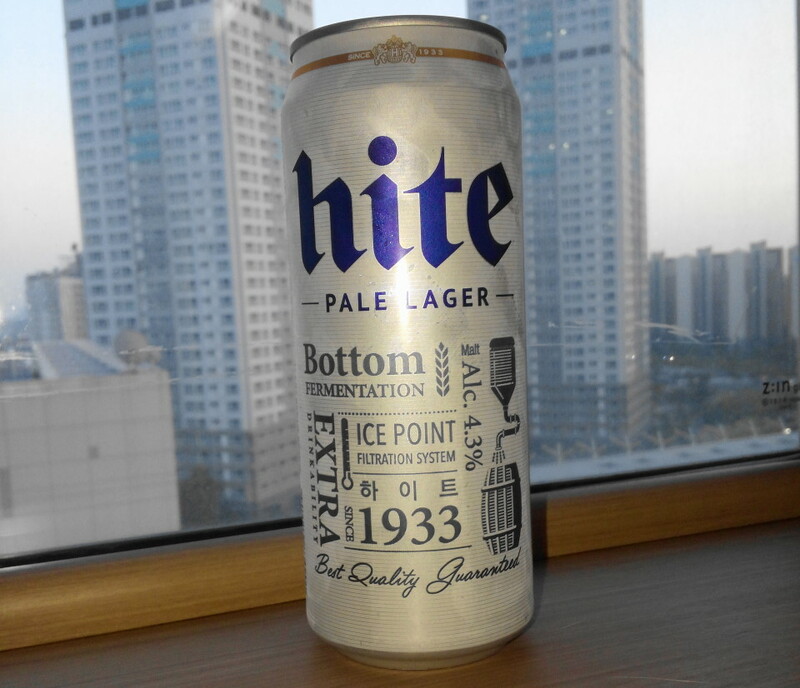 A sightly different style of Hite, as the name suggests more of a dry version. 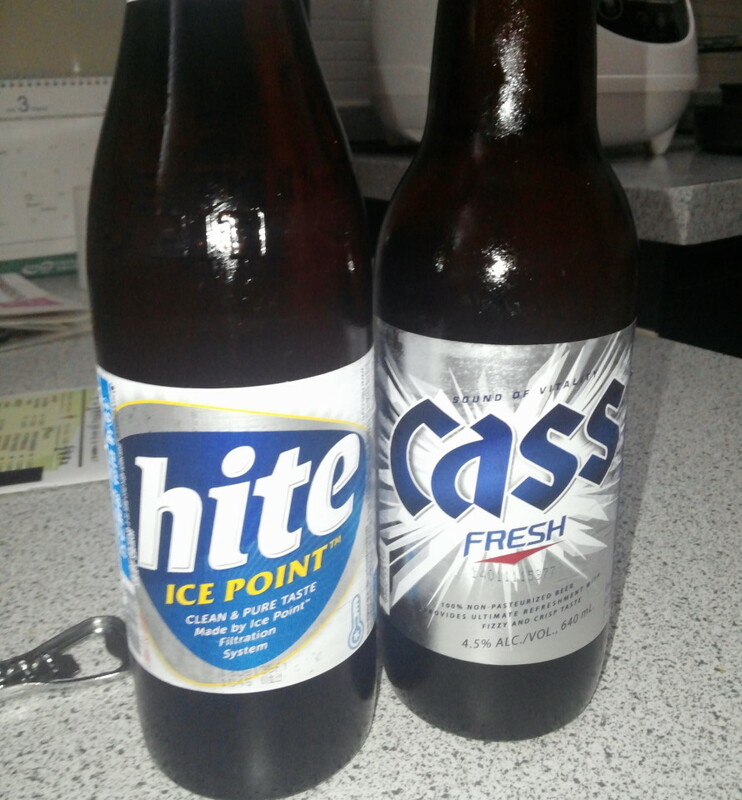 Basically the same as Cass and Hite apart from brewed with 100% malted barley and no rice. 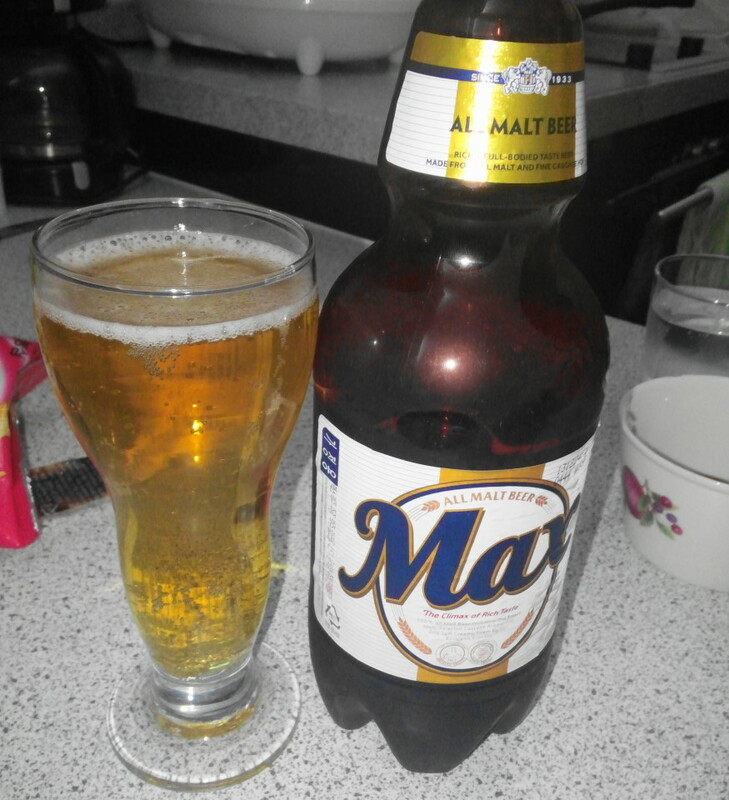 They also produce special edition brews under the Max brand name, for example Czech and Oktoberfest. 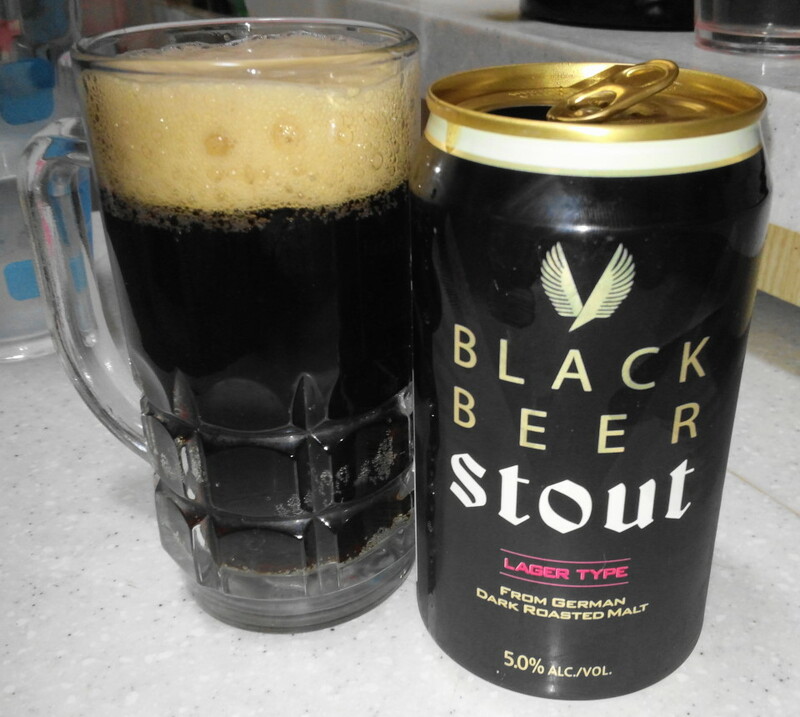 Produced by the Hite-Jinro company, Black Stout as the name suggests is designed to be similar to Guinness however in my opinion it more like a weak and sweeter ale. 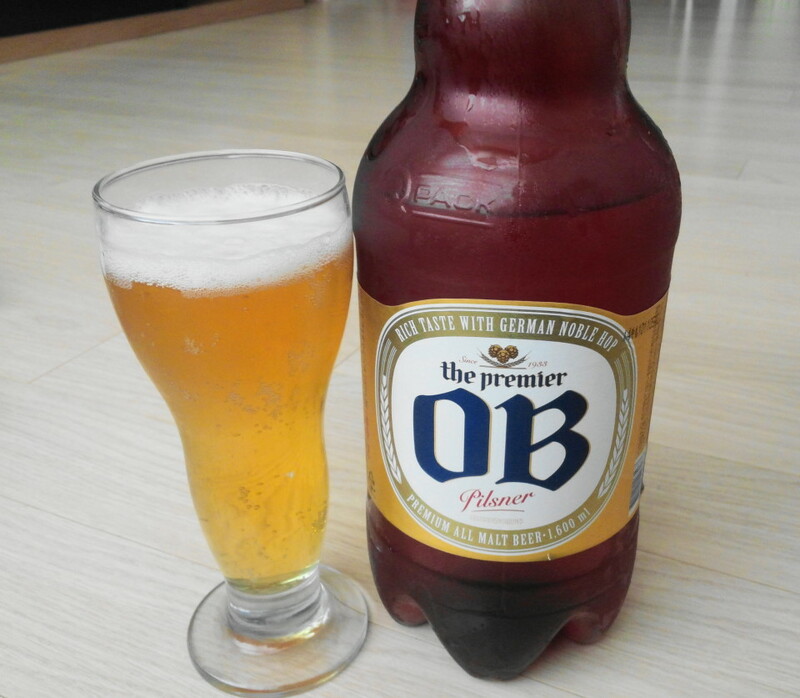 Often referred to as “Old Boy”, this is one of the most famous and longest brewed beers from South Korea. 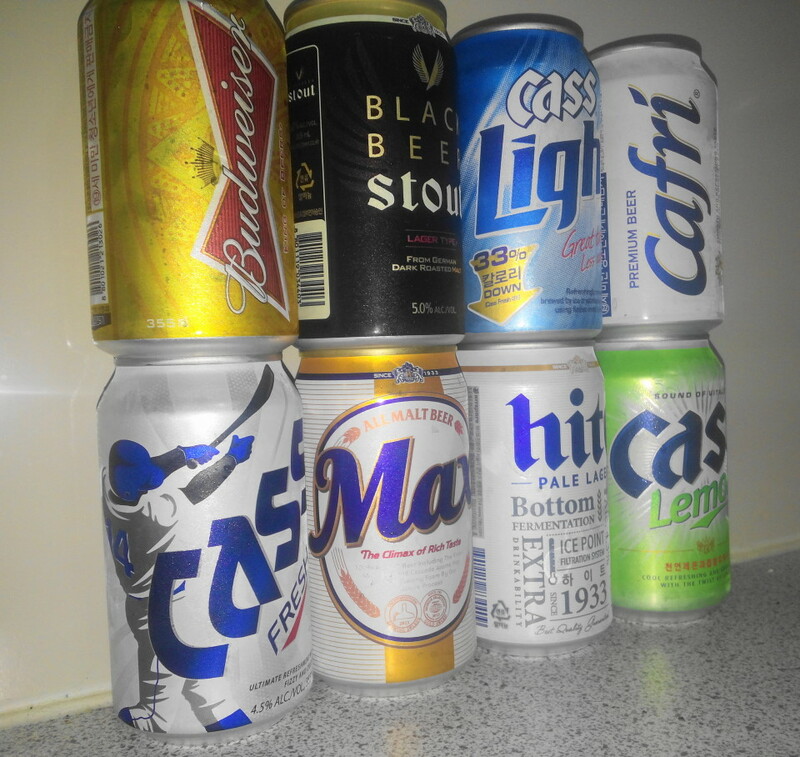 More popular with older Koreans mainly due to it’s stronger and heavier taste, closely compeers to Heineken. There are two types OB Gold and OB Blue. 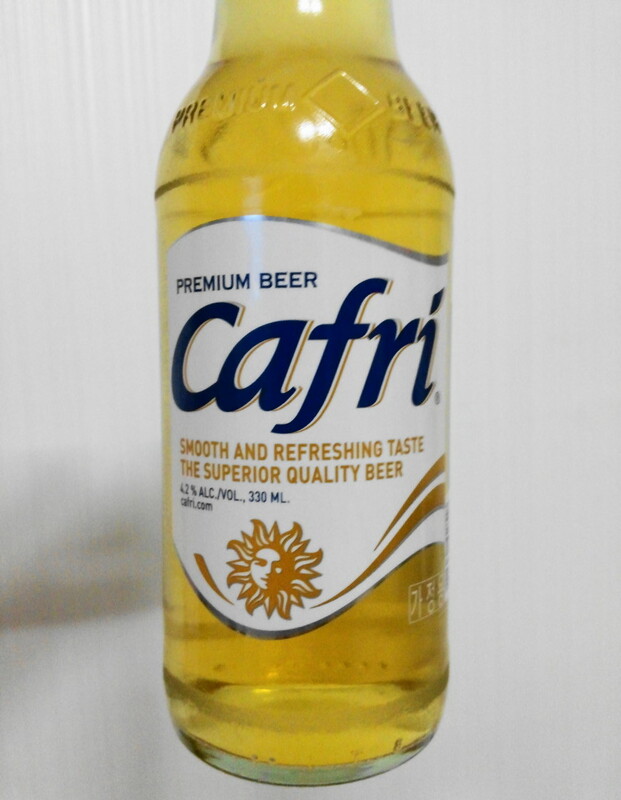 A beer very similar in style and taste to the world famous Mexican beer Corona, however in Korea Cafri is generally half the price. Produced by OB Cafri can be found in nearly all Marts, restaurants and bars. 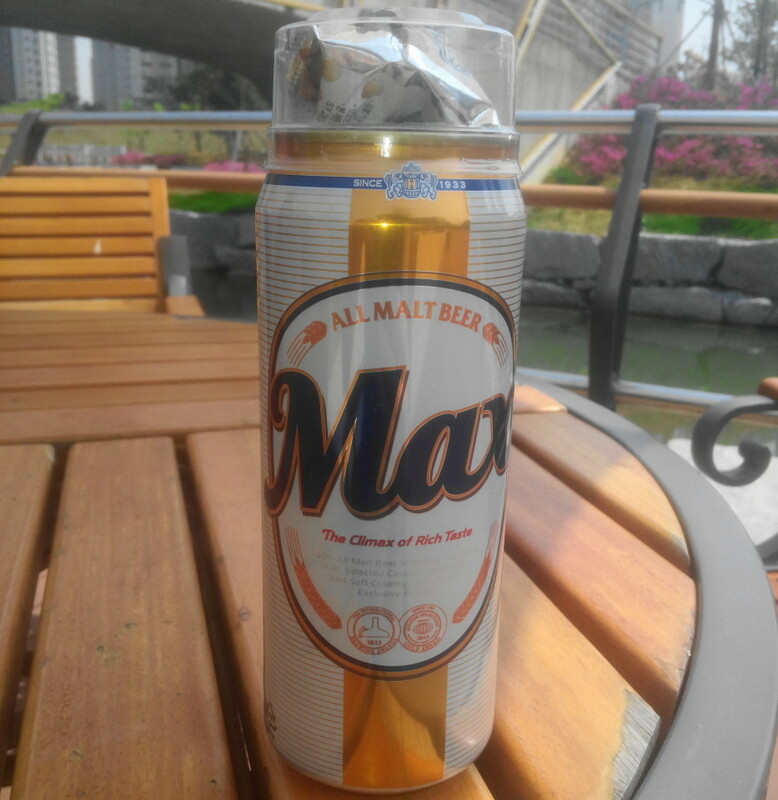 The best but also the most expensive mass produced Korean Beer. 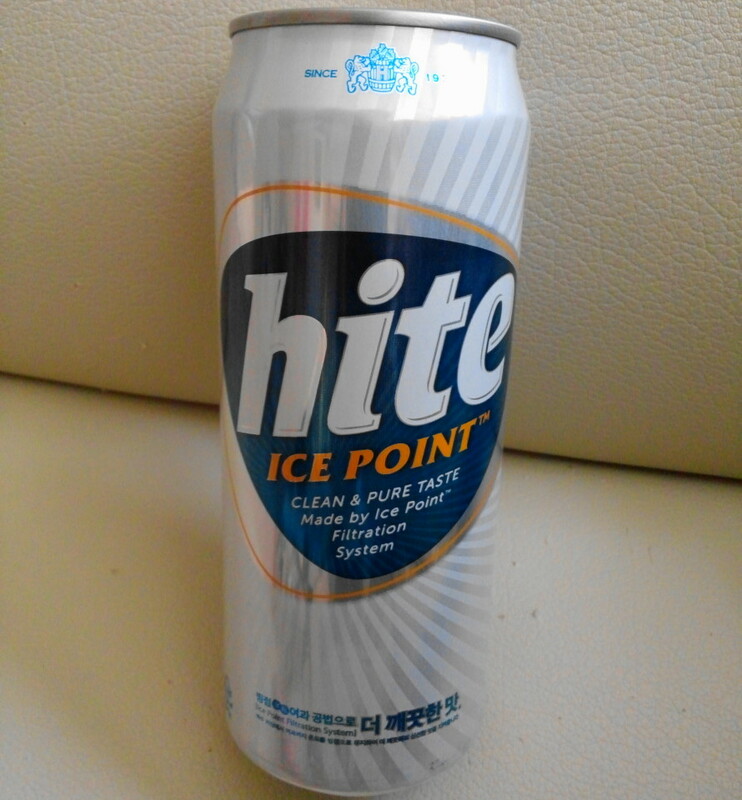 This is a high quality Ale produced by Korean Beer giants Hite-Jinro. The first ever beer produced by Lotte. 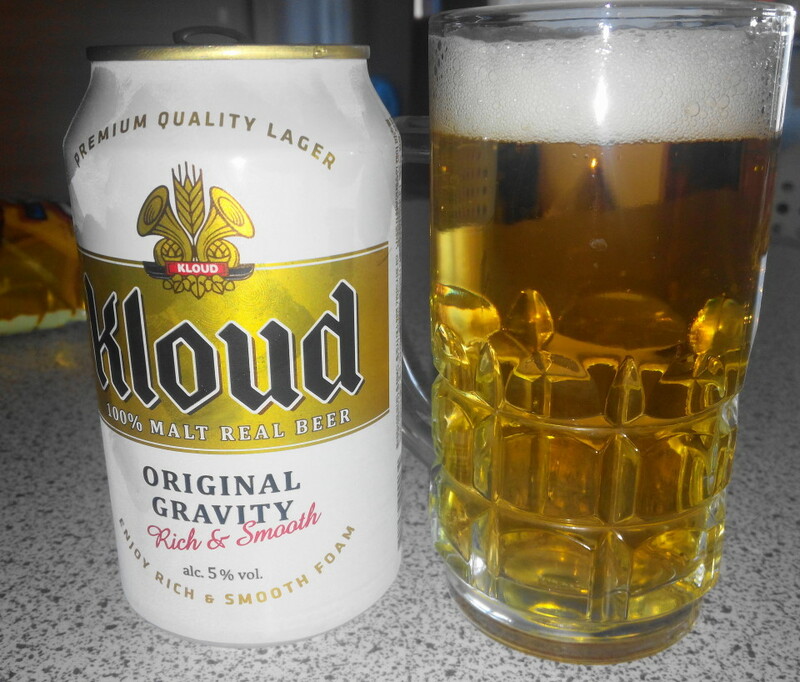 It’s a basic lager but is a nice summer brew. 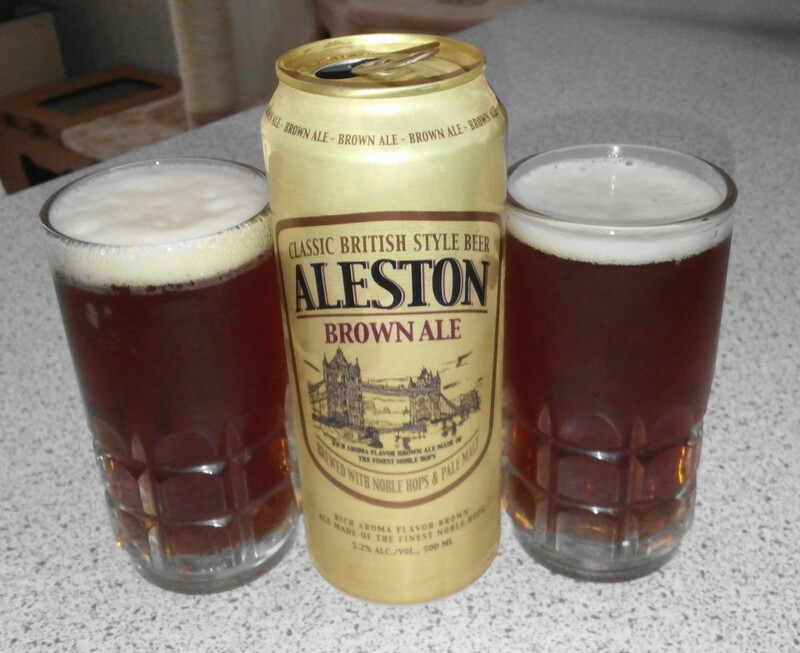 An attempt to break into the real Ale market by OB. Also known as The Premier OB Pilsner. 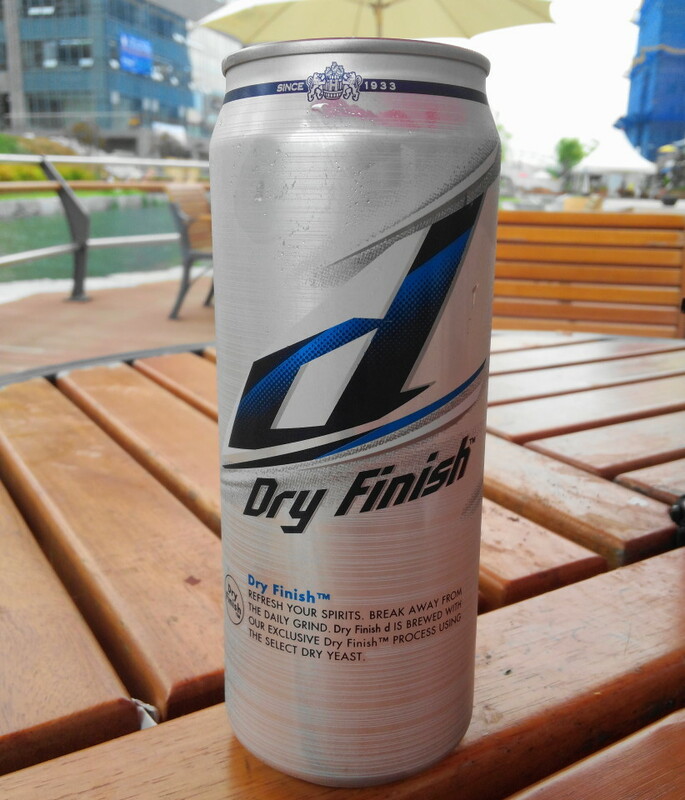 This new beer is the first mass produced Korean Pilsner. 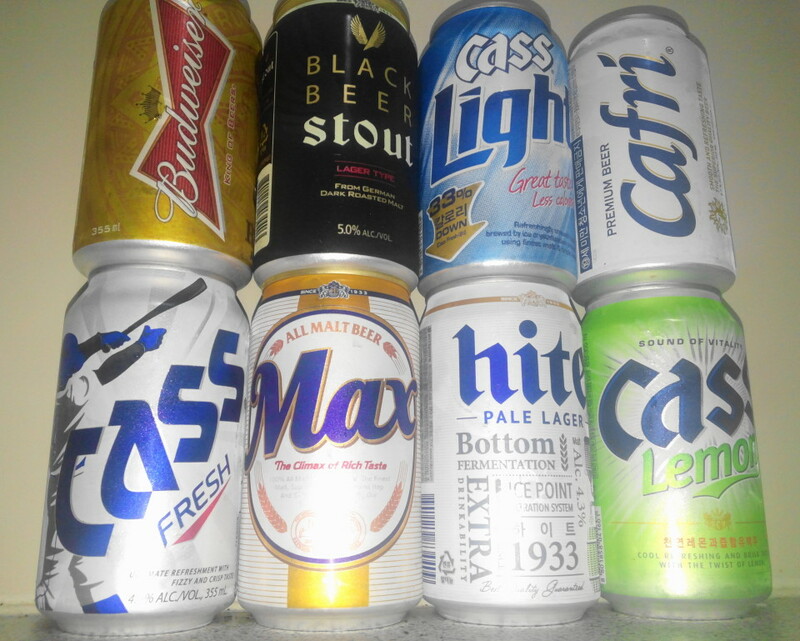 Finally, of course there are numerous other beers as well as microbrewery’s in Korea, most of which are in Seoul as well as various imported beers. If you have any questions or comments relating to Korean Beer or Beer in Korea in general please feel free to let us know. They do like their beer! I was on the subway the other day, and someone already had a can of beer in hand…at 9:30 am!